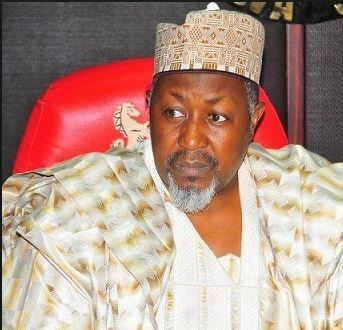 ABUJA— The ruling All Progressives Congress, APC, has announced a 68-member national convention planning committee, headed by Governor Mohammed Badaru of Jigawa State. In the list posted, yesterday, on its newly-unveiled website, the party listed Governor Rotimi Akeredolu of Ondo State as vice chairman and Senator Ben Uwajumogu as secretary. Though the party has not announced the date for the convention, its National Organising Secretary, Senator Osita Izunaso, listed other members of the committee as Senator Ken Nnamani, Governors Rochas Okorocha, Kashim Shettima, Aminu Bello Masari, Abiola Ajimobi, Ibrahim Gaidam, Nasir Ahmed el-Rufai, Simon Bako Lalong, Bindow Jibrilla, Yahaya Bello and Godwin Obaseki. Others are Senators Ahmed Sani Yerima, Adamu Aliero, Dajuma Goje, Abdullahi Adamu, George Akume, Chris Ngige and Ibrahim Abdullahi Gobir. The list also includes Mr Danjuma Attah, Pastor Usani Uguru Usani, Sen. Ovie Omo-Agege and a host of others. Meanwhile, controversy, weekend, trailed the twitter handle of the ruling All Progressives Congress, APC, as its National Publicity Secretary, Bolaji Abdullahi, has said @APCNigeria, a verified Twitter handle, was not the account of the party. The verification tag on Twitter is given to accounts with supposedly credible information. As of January, only 150,000 users were verified out of the 330 million active users on the microblogging platform. APC’s handle was hacked on Saturday and its name changed to Justin Sun, a man who claims to be based in San Francisco, United States, and the account traded cryptocurrencies, including bitcoin and ethereum. At some point, the account was recovered by the handlers and Sun’s tweets were deleted, with the APC logo restored. But Sun took over the account after some hours. In a tweet he posted after taking over, he demanded to be paid $100,000 for him to “shut up” about how the Twitter handle became his personal possession, and also threatened to expose correspondence in the account. “If the President of Nigeria does not pay me $100K, I’ll post all the correspondence here, and the whole world will see it,” Sun tweeted. At press time, the handle’s name had been changed to John “cAf5e, and is still trading cryptocurrencies. “For the umpteenth time, @APCNigeria is not the official Twitter handle of the All Progressives Congress, APC. “In several official statements, we have disclaimed that handle. We view this latest development as a case of criminal impersonation,’’ Abdullahi wrote on Twitter. The post Gov Badaru heads 68-member APC convention c’ttee appeared first on Vanguard News.